The 70's are still roaring in 2016, this we all know. 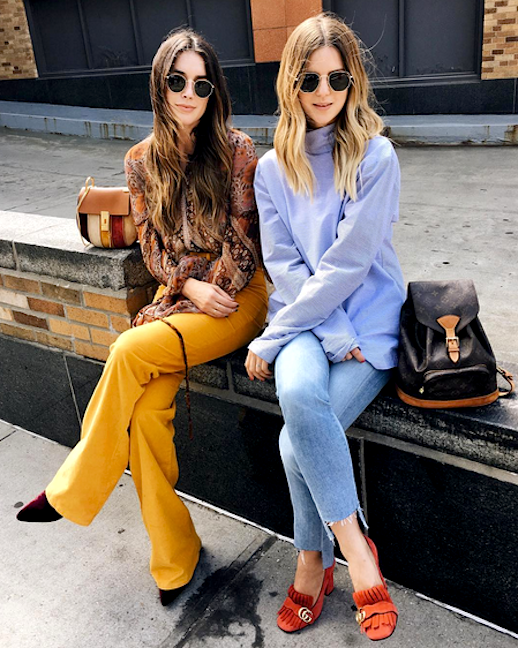 These two blogging babes were spotted at New York Fashion Week sporting the trend. Michelle opted for a pastel blue oversized turtleneck, raw-hem denim and chunky suede heels while Brittany went all out in a printed blouse and mustard trousers.